James Willstrop and Declan James top the bill in a special charity day at the St George’s Hill Club in Weybridge, Surrey, on Saturday (September 22). There are some fun coaching sessions earlier in the day with Niall Engerer, plus some of his Essex Super Series finals which will be played at a new home. 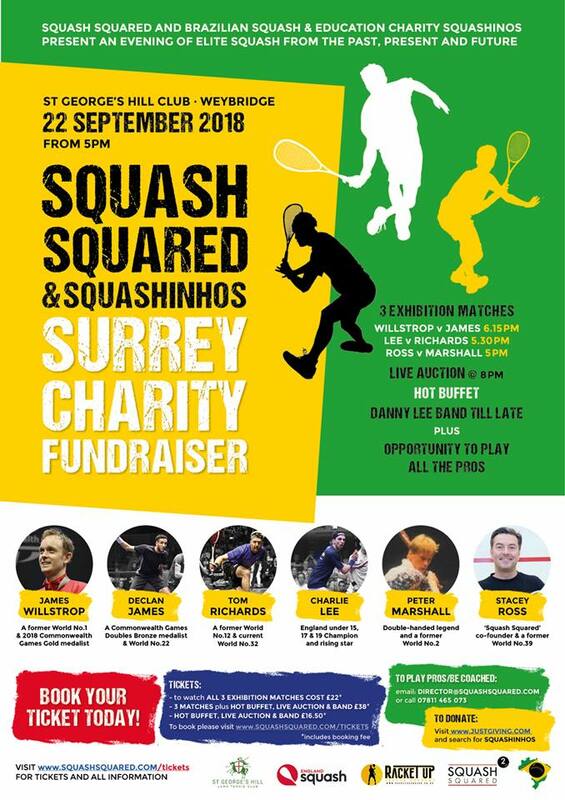 The professional squash starts at 5pm with best of three exhibitions featuring squash legends Peter Marshall and Stacey Ross, followed by Surrey team-mates Tom Richards and Charlie Lee, with Willstrop and James topping the bill. These two England team-mates recently began the season by competing in the final of the Nantes International, with James recording a spectacular fifth-game victory in a dramatic setting on the stage of the Théâtre Graslin. 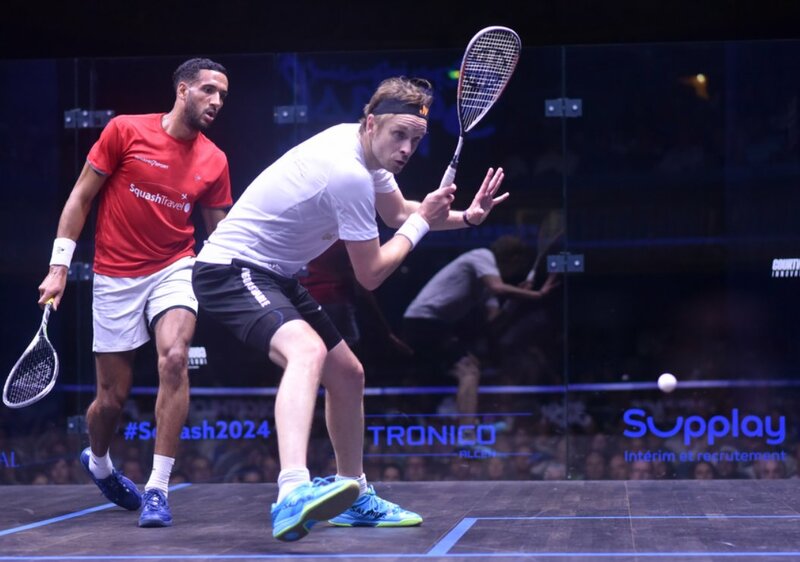 All monies raised will be shared between Squash Squared and the Brazil-based Squashinhos, two charities dedicated to helping underprivileged children discover squash and be taught to play, alongside being educated in Maths or English. People can also donate a little extra and play a game with any of our stars on the night. In the evening the Danny Lee Band will be playing and there will be hot food .